Get your baby on the right track with Baby Genius. 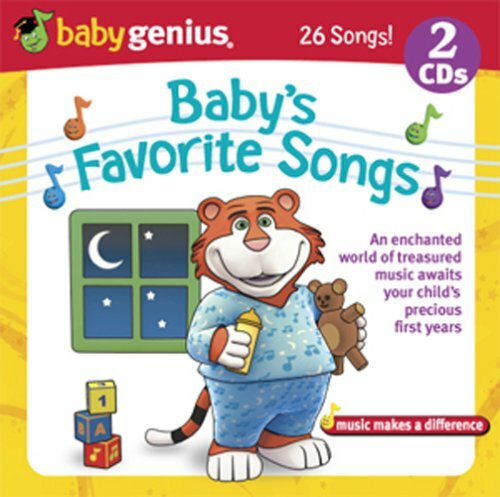 Baby's Favorite Songs offers timeless, treasured instrumental music for baby's important first years of learning and development. This collection of enchanting nursery rhymes, lullabies and classics will set the tone for a calming and fun-filled day for your little one. Baby's Favorite Songs 2 CD package includes the 26 songs listed below. Over 1 hour of music and fun! This CD set has great songs that are very well done. The children love it! Enjoyed the music with my granddaughter. Also, ordering was simple.